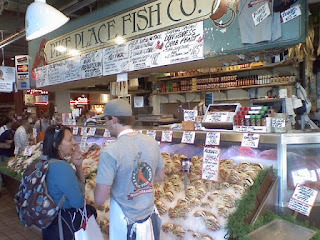 Pike's Place at the public market where they throw fish! © 2008 David La Cava. All Rights Reserved. Photo: © David La Cava. All Rights Reserved.